The Principality of Monaco is an independent sovereign state set in the heart of Europe, on the “Côte d’Azur” between Cannes and the Italian border. It has a resident population of approximately 35,000 and occupies just over one square mile on the Mediterranean coast. About 20% of the population is Monegasque, the remainder being a cosmopolitan mix of French, Italian, British and most other European nationalities as well as Americans, Canadians, Australians, South Africans, and Middle Eastern Nationals. The Principality of Monaco has achieved a reputation for being a serious business centre and ideal place of residence for families wishing to live in a very safe and accessible European location with sophisticated facilities, a temperate climate and favourable tax system. Though French is the official language, English and Italian are widely spoken and understood both in business and socially. English is the preferred foreign language for children in the highly rated local schools and is the predominant language in Monaco’s International School. One of Monaco’s foremost attractions is the high level of security afforded to its residents due largely to the presence of a strong police force. Many of the apartment complexes have 24hr security and concierge for extra peace of mind. The Principality legislates internally in respect of all matters of direct taxation: Monaco has chosen not to adopt any income tax, capital gains tax or withholding tax legislation. This is good news for anyone looking to purchase real estate in Monaco for a long-term home or for rental purposes. Though undeniably built-up, Monaco still enjoys various parks and several public and private beaches. 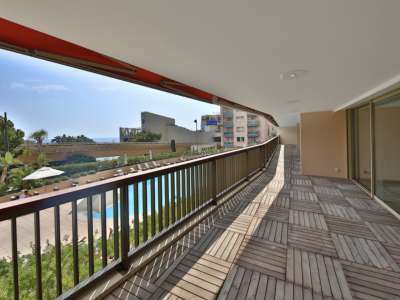 The Principality is a prestige area and, as such, Monaco real estate changes hands for considerable sums. There are few bargains to be sought as can be well understood from the density and quality of much of the extant accommodation. However, its tax haven status ensures the market remains buoyant and prices stable so investment in Monaco real estate continues to be attractive. Much of the available property in Monaco and Monte Carlo is apartments, from small studios to large luxury triplexes and penthouses. Those overlooking the harbour and Formula 1 circuit are naturally more valuable. There are also a selection of luxury villas and beautiful townhouses but these are usually somewhat more expensive. Parking difficulties ensure that properties offering one or two spaces are highly desirable. Private purchase or rental of parking can run into several tens of thousands of Euros and, due to demand, will not necessarily be nearby. The famous Rocher of Monaco with its fortified old town, the Prince’s Palace, the ramparts, gardens, cathedral and the Oceanographic Museum is the site most visited by tourists. Taking the time to saunter in the ancient streets, you’ll find almost 50 small boutiques containing souvenirs and local arts and crafts. When you’re hungry, charming restaurants await you, offering a large selection of regional cuisine. Fontvieille, which owes its name to an ancient spring found there, has always had an economical and industrial character. In 1905, a brewery and then a flour mill were created there, later joined by a chocolate plant and others. Today, this modern 22 hectare quarter houses numerous businesses as well as a residential neighbourhood with more than 80 stores including major name which attract shoppers from well beyond the borders of the Principality. 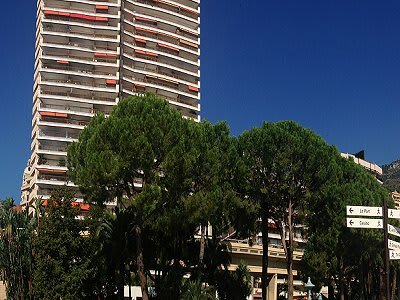 In Monegasque language, Moneghetti means “little Monaco”. 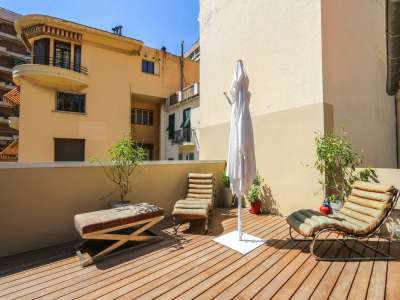 This old quarter, which was developed toward the end of the century, combines with the Révoires and the Exotic Garden to form a large and quiet neighbourhood. The natural port of Monaco has always generated commercial activities by attracting merchant ships whose cargoes could be negotiated. The oldest commercial quarter of the Principality has kept its tranquil charm and found equilibrium for its commercial diversity. The Condamine market and the proximity of the port give this neighbourhood an authentic small town feel where conviviality is the golden rule. Built starting in 1870, during the reign of Charles III, Monte Carlo occupies the old Spelugues plateau. Surrounding the Casino, the most famous international brands offer a large choice of luxury goods. This neighbourhood contains the largest concentration of stores. Convivial and refined, Monte Carlo also has one of the most beautiful shopping centres in Europe. Today, the “boulevard des Moulins” has become a commercial artery lined with beautiful boutiques and art galleries. This modern area is essentially knows for the private and public beaches that it offers. People will go there to simply walk around or to enjoy delicious meals by the sea. PRICE REDUCED - Completely refurbished 2 bedroom apartment, located within a luxurious modern building, in a prime location at the heart of "Carre d'or" and just a short stroll from the beaches.